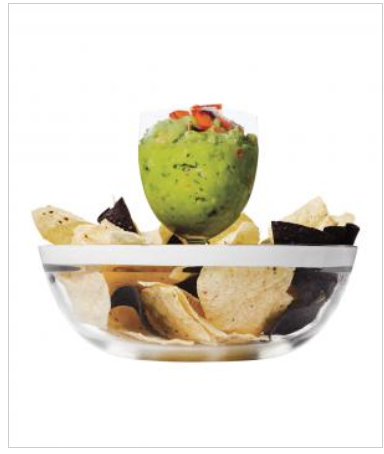 Scoop guacamole or salsa into a wineglass, then stand it in the center of a bowl of chips for an impromptu chip-and-dip platter. Now that is using your noodle! !